T1: Please be aware of the terms and conditions when using our website and our service. The use of our website confines you to the terms and conditions on this page. You are fully responsible for being aware of our terms and abiding by throughout the use of our website and/or service. By purchasing an order off our website, you must check off a required box that you have fully read and agreed to our terms and services to avoid issues. T2: If you wish to decline our terms and conditions before ordering or if you have any questions, please contact us or Danny on discord. T3: L9EloBoosting is hosted under the website L9EloBoosting.com and no other. T5: L9EloBoosting.com claims no ownership of Riot Games’ or any affiliates’ intellectual property. All copyrights and trademarks are property of their respective owners. The customer acknowledges that L9EloBoosting.com has no affiliation with Riot Games. The customer acknowledges that L9EloBoosting.com claims no ownership of Riot Games’ or other parties’ intellectual property. T6: L9EloBoosting is not responsible for any actions occurring if not following our Terms of Service. T7: L9EloBoosting is not responsible for any problems that occur if the account is a shared account. L1: By purchasing or using our service, or any service included under L9EloBoosting.com, you the customer acknowledge that you understand the services which you are purchasing, and that you are responsible for accurately providing the necessary in-game information for us to complete and process your order. L2: You will provide accurate information when ordering so we can process your order without problem or wasting anyone's time. L3: If you pay by goods and services, disputing a buyers protection dispute results in you violating our terms of service, and will not receive the money back after our service is completed. By ordering from us, you have checked off a box that has clearly stated that you must have read and agreed to our terms of service, one of which being no chargebacks for a completed order that has had no issues or problems. 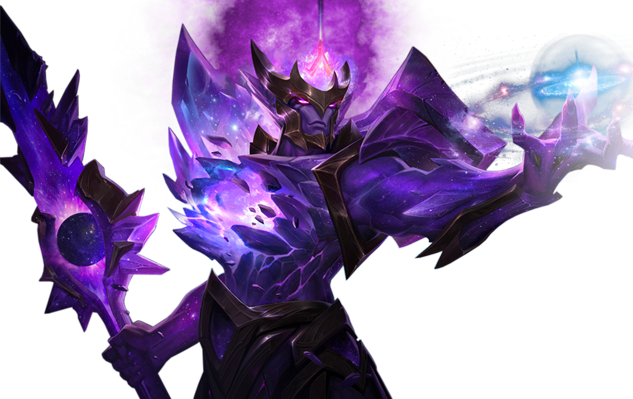 L4: Boosters may use the Blue Essence you may have and the ones they may win in their pursuit to complete the Service as well as buying Champions and Runes. L5: You won't be playing any games on your account until your order is completed. If you wish to play after you paid , please notify us in the comments / extra notes so we may schedule the best time for our booster to log on. Exceptions go towards Duo Boosting, and others that require you on your own account. L6: If you play any games on the account the booster is working on without notification, we have full rights to stop the order without refund. L7: If your LP gain is 17 lp or lower , we have the right to turn your order into net wins. You will be notified if you are getting 17 LP or lower a game and then should you decide if you would like to continue in net wins or an other possible agreement between both sides. L8: Once your purchase has gone through and the service has started, you are no longer eligible to receive a refund. If service is not completed by L9EloBoosting.com for any reason, or if you have a request to change a booster due to a reason, please specify and we will do our best to make sure your order gets completed. L10: Boosting goes against Riot's terms of service . This can result in possible actions taken against your account, which we will not hold any responsibility to as we take every precaution to ensure your accounts safety , but ultimately we are not responsible for any actions taken against your account. L11: When purchasing an order, you are eligible for a refund within 48 hours of it's purchase, this only applies if the booster did not start working in your account within the giving time. L12: You reserve the right to watch and spectate any game during the process. L13: After purchasing an order you show inactivity for 21 days or more and do not show interest in terminating the service, we'll close it and have it as processed. L14: After purchasing an order from us , if you request a refund after having wasted our time , or if it just a troll order for fun , we will not refund 100% of the money you have paid for the order. 25% Will be deducted from the original order for a net refund. This is why you must choose properly and stick with it , or else it causes time wasted onto both parties and also to avoid troll orders. L15: If any restriction/ban occurs on your account occurs while we are in service with you, you will receive a compensation that will satisfy you or an agreement will come between you and L9Boosting .This will vary depending on how strict the punishment was and or if it was the fault of the booster. L16: If your order is not in any way affiliated with L9 Boosting, it will not be regarded as a problem in our hands. L17: If your details are not accurate, we have the right to cancel the order at any given time. A refund may or may not occur depending on how inaccurate or accurate your information is. L18: If your account gets banned from a 3rd party software , 1-2 weeks after we have completed boosting on your account , we have no affiliation with giving you a compensation, as our boosters are tested and not using scripts or any third party software during boosts. L19: If you order division boosting and gain over 28 LP a game and or you are guaranteed to skip a division , we will convert that into net wins. This way it is both fair for the booster and the customer. L19.2: If you purchase only one division from us and you are gaining 28 LP or more and or if you are guaranteed to skip a division , we may or may not ask you to either purchase the division you are going to skip , or refund you.